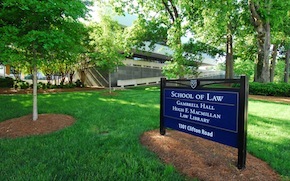 The Office of Admission will be offering Admission information sessions and tours of the law school during the summer however class observations will not be available after April 12, 2019. Class observations will resume in the Fall semester and our visit schedule for the Fall Semester will be available in late August. 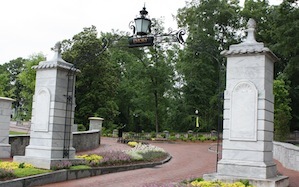 If you would like to schedule a visit during the summer, please email Gillian Harris at gillian.harris@emory.edu. Please keep in mind the Office of Admission will be closed on the following dates: May 27 & July 4. We look forward to you visiting us soon! 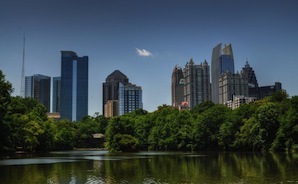 A guided walking tour, led by the Atlanta Preservation Center » Call 404.876.2042. A guided bus tour. Call American Sightseeing Atlanta at 800.572.3050. We also recommend visiting the Atlanta Convention & Visitors Bureau website for an extensive traveler's guide to the city.